Traditional scholars and urban archaeologists trace the roots of cities to the third millennium B.C. in the Fertile Crescent and hubs to the east and west. Independent city-state organizations emerged in the Far East and the New World albeit considerably later. More complex urban centers took root in the Mediterranean Basin by around 1000 B.C. when networks of cities dominated emerging Empires. Cities are tied to the centrality of complex societies as commercial, social, and economic interests restructured human settlement and organization. These models point to Greece and, more importantly, Rome as the guiding blueprints for understanding city structure. To this day, Rome serves as the proto-type for the Western City in many intellectual circles, though this concept can and should be challenged in the context of our broadened understanding of Western and non-Western civilization. In this presentation I attempt to expand our concepts of early and evolving urban structure in light of the most recent developments in archaeological science. Perhaps the single most innovative addition to traditional thinking is our understanding of urban infrastructure. Archaeological science has opened up vistas in exploration and interpretation heretofore unimagined. I cite examples from the earliest tells in Mesopotamia and the Indus Valley, and the unique city centers dotting the Nile. At the core of the modern city’s infrastructure is Rome and its satellite communities that sustained the Empire. We discuss the relative decline of urbanism in the Middle Ages and then the resurgence of the city in the wake of the Industrial Age and the contemporary world. Dr. Joseph Schuldenrein is the President of Geoarcheology Research Associates (GRA). He founded the firm in 1989 and its mission has been to apply Geoarchaeology in both compliance (CRM and Heritage Management) and and research venues. 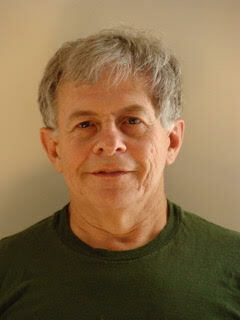 He has been a Research Associate at the Center for the Study of Human Origins at New York University since 1996). Dr. Schuldenrein is former Fulbright Fellow in Geology and Archaeology (Hebrew University, Israel) and Fellow of the Field Museum of Chicago. He received his Ph.D. in environmental archeology at the University of Chicago in 1983. His professional experience includes work across the North American continent. Internationally he has consulted on projects in Central Europe and the Mediterranean, the entire Middle East, India, Pakistan, and eastern and southern Africa. He is involved in research on Human Origins, early civilizations (South Asia) and site formation process. Most recently GRA’s projects have included forensic excavations for the Saddam Hussein trials (2005-2008) on behalf of the U.S. Department of Justice and design of a baseline Cultural Heritage Management Plan for the site of Mes Aynak (Afghanistan; 2011). Dr. Schuldenrein is currently focused on developing protocols for Urban Geoarchaeology, based on extensive excavations in his base of operations in New York City. His most recent project examines the ancient landscapes of western Oman and their relationship to the emergence of third millennium B.C. civilizations in the greater Near East. He has served as past president of the Professional Archaeologists of New York City (PANYC) and is on the Board of the Archaeological Institute of America (AIA). He has published extensively in key professional journals including American Antiquity, Journal of Field Archaeology, Geoarchaeology, Journal of Archeological Sciences, as well as monographs and contributions to numerous edited volumes. In recent years, Dr. Schuldenrein has been active in the Society for American Archaeology’s drive to restructure educational priorities in higher education towards empirical and applied objectives. Dr. Schuldenrein has been a reviewer on numerous funding and granting panels (National Science Foundation, Leakey Foundation). He has also been on television and radio to advance public awareness of professional archeology. He hosts a weekly internet radio program entitled Indiana Jones: Myth, Reality, and Contemporary Archaeology on VoiceAmerica Variety Channel (www.voiceamerica.com/show/1975/myth-reality-and-21st-century-archaeology). Please add my new e-mail address to the mailing list: ctomkissner2@gmail.com .